I am so excited that my beautiful sister is pregnant. I have been craving newborn snuggles lately - but not the lack of sleep - so I can't wait for her new bundle to arrive. Lauren is over halfway through her pregnancy and she looks amazing! I remember getting way bigger with my second child and she looks way smaller!! So incredible. 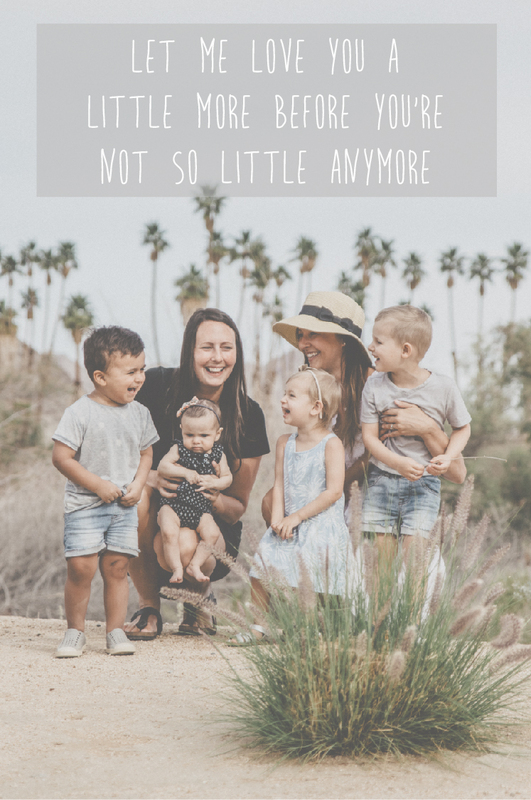 She is one of the strongest people I know, however I know that with a toddler she still has days when she is tired, wanting to lay down or simply just in need of a bit of pampering. We teamed up with Oh Mother Care Kits, a Canadian subscription box packed with natural care and wellness products that is thoughtfully made to help busy women, and moms especially, get some much needed "me" time. As soon as Lauren opened the box she was so excited for all the natural, non-toxic products to help her and her body during this pregnancy. "As moms, our own needs get pushed to the back burner more often than not and yet, we learn to function like this. We adapt to the sleep deprivation, unpredictability and chaos. We persevere because we have to, but also because it’s worth it." Being strong IS worth it because we love our husbands and we love our kids. But being strong doesn't mean we don't need time to ourselves once in a while and these kits provide exactly that; a little pampering to help strengthen us. One of the best part about these kits is that Nicole Landry (the beautiful woman behind the brand) has made kits to support or encourage any woman. She has a seasonal (every 3 months, 4 times per year) subscription program that is amazing for any woman - mom or not. For example, this Summer Kit that Lauren is holding contained so many beautiful items, such as a face & body bug spray, a beautiful bracelet, lip conditioner, lavender tea, handmade chocolate bar, pummus stone and bath salts. Just about to text my husband and ask which evening this week I can take some time to pamper myself and try out some of these Canadian made products. Thank you Oh Mother Care Kits for reminding us that we deserve so much more care and attention than we normally give ourselves.